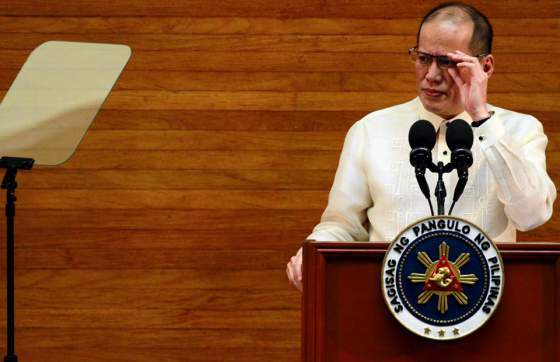 SONA 2015: President Aquino's 6th and last State of the Nation Address (full transcript of speech - english version) - Balita Boss! Below is the official English translation of the speech given by President Benigno S. Aquino III during his sixth and last State of the Nation Address (SONA) on July 27, 2015 at Batasan Pambansa Complex in Quezon City. Vice President Jejomar Binay; Former Presidents Fidel Valdez Ramos and Joseph Ejercito Estrada; Senate President Franklin Drilon and members of the Senate; Speaker Feliciano Belmonte, Jr. and members of the House of Representatives; Chief Justice Maria Lourdes Sereno and our Justices of the Supreme Court; distinguished members of the diplomatic corps; members of the Cabinet; local government officials; members of the military, police, and other uniformed services; my fellow public servants; and, to my Bosses, my beloved countrymen: Good afternoon to you all. To replace them, we appointed men and women with integrity and independent minds. The new Ombudsman: Conchita Carpio-Morales. The new Chief Justice: Ma. Lourdes Sereno. Now, she has sufficient time to implement reform in the Judiciary. Even in other agencies, we appointed honest and fearless leaders. We immediately placed Chairperson Grace Pulido-Tan in the COA. In the Executive, we likewise appointed uncompromising persons: Commissioner Kim Henares in the BIR and Secretary Leila de Lima in the Department of Justice. They did not back down from any challenge in fulfilling their mandates. To all of you, I give my heartfelt thanks. I learned from my parents, from the church, and from the processes of our laws: Whatever reconciliation must come from the confession and repentance of those who have committed wrong. Can you remember an instance in which anyone said, “I’m sorry I stole from you and abused you; I am ready to change”? For my part: We can only move on once justice has been attained. Under our administration: the number of GOCCs has already been reduced by shutting down those deemed irrelevant, and yet because of improved management: the dividends we have collected in the five years we have been in office have now reached P131.86 billion. It isn’t unlikely that, before we step down from office, we will be able to double the dividends collected by our predecessor who had much more time to accumulate these funds. This is the same commitment we have shown in the BIR, which is the biggest revenue-generating agency of the government. When we stepped in, the highest collection on record was in 2008, at P778.6 billion. We surpassed this by leaps and bounds. In 2012, the BIR collected P1.06 trillion—the first time in our history we have breached the 1 trillion mark for collections. Last year, the number went up to P1.3 trillion; this 2015, we will collect up to P1.5 trillion. We only needed five years to match, surpass, and almost double our predecessor’s record high—and we did this without imposing new taxes, as promised, apart from Sin Tax Reform. How did we do this? It was simple. I believe that Commissioner Kim Henares is a kind person, but those against whom she filed cases might have a different opinion. Commissioner Kim Henares spared no tax evader. 380 cases have already been filed against those who attempted to evade taxes. She also made the system for tax payment more efficient, and made clear to everyone their civic duty to contribute to the development of our country. Now, for the first time in history, we are unanimously deemed investment grade by the most prominent credit rating agencies. This is a signal to businessmen that it is worthwhile to invest in the Philippines. The risks of doing business here have decreased. Now, with lower interest rates and more flexible debt payment schedules, more investors are finding it attractive to bet on the Philippines. Through the institution and expansion of businesses, commerce becomes more lively, competition strengthens, and even more opportunities are created. All this has been a direct result of reforms we made along the Straight Path. Just look: back in 2010, net foreign direct investment in our country was at $1.07 billion. In 2014, net foreign direct investments reached $6.2 billion. This is the highest ever recorded in our entire history. The numbers for domestic investments are likewise impressive; now, Filipinos are betting on their fellow Filipinos. Let us compare: from the time this was first measured back in 2003 until 2010, the amount of approved domestic investments totaled just P1.24 trillion. Under our watch, from the third quarter of 2010 until the end of 2014, the amount invested by our countrymen in the market reached P2.09 trillion. Thanks to the reforms that have restored confidence in our nation, manufacturing growth has accelerated—from 3 percent annually between 2001 and 2009, to 8 percent from 2010 to 2014. Every year, around 80,000 new entrants join our labor force. Now, consider the fact that there are reports of overseas Filipinos returning home. In 2011, our Department of Foreign Affairs reported that there were around 9.51 million overseas Filipinos. Based on the latest estimates in December 2014, that number went down to 9.07 million. It is reasonable to say that a good number of the estimated 400,000 Filipinos represented by that decrease came home and were able to find work. Despite the fact that there are new entrants, returnees, and previously unemployed Filipinos, our unemployment rate still dropped to 6.8 percent last year. This is the lowest recorded in a decade. Let me be clear: We created permanent jobs; we did not hire an abundance of street sweepers during the period the labor survey was conducted, just to boost results. Together with creating real jobs, we are also fostering a good relationship between labor and management throughout the country. Let us compare. In the nine and a half years of the previous administration, the number of strikes that occurred were 199, or roughly 21 strikes for each year. In our five years in office, the total strikes were only 15. In fact, in 2013, there was only a single strike recorded in the country. This is the lowest recorded in the history of DOLE. It is because of this that we are truly impressed with Secretary Linda Baldoz and our labor and management sector. To Sec. Linda: you are not only efficient; you are also very positive which makes you the type of colleague who is a pleasure to work with. That is why you are considered the Pastor of the Cabinet. Thank you, very much, for all your efforts, Linda. Some businessmen have even mentioned to me that they are finding it difficult to hire accountants. I remember when I was younger, a lot of people were taking up BS Commerce, Major in Accountancy. When I visited Bicol University, I mentioned this to their president. I had to ask: Am I correct in the knowledge that your university has an accountancy program? Their reply: Yes, but even we are having trouble filling our accounting department. Why? Their president said that their students, even in their third year of college, are already being recruited by accounting and auditing firms. We have vastly expanded the scope of this program. Now, more than 4.4 million households are feeling the benefits of this program. This is extremely far from the 786,523 households covered by the program when we entered office. This year, 333,673 graduated from high school; they are part of the first batch of beneficiaries under the expanded Pantawid Pamilya. 13,469 of these youth graduated with honors and a variety of awards. In fact, the two beneficiaries I met were accepted into Civil Engineering, a quota course in the University of the Philippines. Under Pantawid Pamilya, in exchange for assistance, the primary focus of beneficiaries must be the education of their children. This has already borne early fruit: according to studies conducted by the Philippine Institute for Development Studies, in 2008, there were 2.9 million out-of-school children in the country. The years passed and our population grew, but in 2013, only 1.2 million out-of-school children remained. Let me emphasize the difference: 1.7 million. There are even some who had the guts to raise an outcry and shout: There are leakages in Pantawid Pamilya. Then we discovered they used data from 2009, just to have something to criticize. Let me remind them: I became President halfway through 2010; perhaps you should be asking another president to explain the alleged leakage. I guarantee that, when the time comes that the beneficiaries of this program are contributing to the economy, those who are criticizing it today will be falling over themselves to proclaim that they are the father or mother of the expanded Pantawid Pamilya. In just our first two years in office, we were able to close the backlogs we inherited of 61.7 million textbooks and 2.5 million school chairs. In 2013, the backlog of 66,800 classrooms was finally eliminated and the backlog of 145,827 teachers was likewise addressed, with the help of our LGU partners. According to the estimates of DepEd, from 2010 up to 2017, the total amount of new students: 4.7 million. This is because of the increase of enrollees and the implementation of the K to 12 program. In order to meet this vast increase, we need to add an estimated 118,000 classrooms to what we already have. 33,608 of these have already been constructed. This year, we are slated to construct more than 41,000 more. Funds for the remaining 43,000 classrooms have already been included in the proposed 2016 budget that we will pass tomorrow, which we hope you will approve. The number of teachers we will need are estimated at 130,000. In 2014, we have already hired 29,444. This year, the total number of teachers we target to hire: 39,000. The remaining 60,000 positions will be covered in the proposed 2016 budget, which we hope you will approve as well. According to Bro. Armin, the sum total of the classrooms our administration has constructed and the teachers we have hired exceeds the cumulative total of classrooms built and teachers hired in the past twenty years before we came into office. Tomorrow, we will submit the budget for 2016; included in it are funds for an additional 103.2 million textbooks, 4.4 million school seats, 43,000 classrooms, and 60,000 new teaching positions. Everyone can see: we will not leave further sources of headaches for those who will succeed us. Should these graduates choose to go into tech-voc, the programs we enhanced are already waiting for them. 7.8 million have already graduated from the different courses of the Technical Vocational Education and Training overseen by TESDA. Under the Training for Work Scholarship Program alone, the number of graduates have already reached 821,962. Perhaps you are wondering: what is their situation today? According to studies, 71.9 percent of graduates were able to find employment right away, compared to the 28.5 percent recorded before. There are even some industries breaking records: for example, the employment rate for the entire semiconductors and electronics industry has already reached 91.26 percent—just a little more, and we’ll be at 100 percent. Secretary Joel Villanueva told us before of an OFW forced to return home; she thought there was no hope to improve her lot in life. Then, she studied “hilot wellness massage” in TESDA; now, her spa already has 4 branches. In my last SONA, I also told you of a PWD who was once a barker; he is now an escalation supervisor in a BPO. When we came into office, only 47 million Filipinos were beneficiaries of PhilHealth. We have almost doubled this number: just this past June, PhilHealth coverage has reached 89.4 million Filipinos. The transformation we wrought: Before, during elections, new PhilHealth beneficiaries seemed to sprout up like mushrooms. Instead of the basis for membership being the interest of Filipinos, it became manipulated to serve the electoral candidate’s interest. Now, we have corrected that system. There is more good news in the sector of health. In 2012, we announced: If your family is part of the lowest quintile, or the poorest 20 percent of our population, and you are seeking treatment in public hospitals, then we guarantee that you will not have to pay a single centavo. Beginning in 2014, this has expanded to cover the next quintile of our society. This means that for the poorest 40 percent of the population, treatment in public hospitals is free. This is the care that some have called inefficient and uncaring. The only thing I have to say to them, as Aiza Seguerra said back in the day: I thank you, bow. In 2011, we conducted an inventory of sitios, and we identified those that were still without electricity. Through the Sitio Electrification Program, we were able to bring light to 25,257 communities identified through this inventory. On top of this, because of the use of solar energy and other technology, even far-flung and isolated areas that would be difficult to connect to the grid already have electricity. Now, around 93 percent of sitios in the Philippines have already been energized; the DOE has guaranteed that, before we step down from office, all the rest of the sitios from the 2011 tally will have electricity. MARINA and the DOTC went to work quickly in order to match our maritime education certificates to global standards. To this day, the EU continues to recognize our certifications. Come EMSA’s next audit, which will begin in October, MARINA guarantees: We will definitely pass. Now, from one functional C-130, we now have three at our disposal, and we are planning to acquire two more. There are others to accompany them: The first of three C-295 medium lift transports has arrived, with the other two arriving within the year. We also expect the delivery of two more light lift transports before the end of 2015. If we ever encounter another spate of problems like what happened in 2013, we are going to need more assets. When Yolanda struck, our docks were destroyed, and our ability to deliver aid was hampered. In such situations, landing craft utilities are invaluable because of their ability to dock on any shore. Now, we have increased the number of our landing craft utilities from four to ten. There is the BRP Tagbanua. By next week, two Landing Craft Heavy will arrive from Australia; the turnover of these vessels was very generous: they even came with spare parts and generators. We plan on buying three more; once all the paperwork has been put in order, the processes to procure them will begin. These vessels will reduce our dependence on the kindness of other nations; we will be able to accelerate delivery to different parts of the Philippines, and more promptly send aid, supplies, and other heavy equipment such as bulldozers, which are needed for clearing and relief operations. To better watch over our territory, we have also acquired 12 FA-50 fighters to replace our F5 fighter jets that were retired in 2005. The first two units will arrive in December, and the rest of the deliveries will be completed by 2017. We have also acquired war ships such as the BRP Gregorio del Pilar and the Ramon Alcaraz, seven of 13 AW-109 helicopters, six of eight Bell-412 helicopters, 617 troop carrier trucks, and 50,629 assault rifles. Our target is to obtain two more frigates, six Close Air Support Aircrafts, 142 armored personnel carriers, and other new items such as 49,135 units of force protection equipment, 2,884 grenade launchers, and an additional 23,622 assault rifles. In total, we have completed 56 projects for modernization, and I have approved 30 more. Compare this to the 45 projects completed by the three administrations that came before us combined. Just last week, Dexter Balane, the leader of the robbery and holdup group in cahoots with the Martilyo gang, was apprehended by our police force. Also in the apprehended list are the notorious Tiamzon couple, Commander Parago, and other cadres of the CPP-NPA-NDF such as Ruben Saluta and Emmanuel Bacarra; there is also the elusive Jovito Palparan, as well as the leaders of the BIFF, namely Basit Usman, Mohammad Ali Tambako, Abdulgani Esmael Pagao, and the international terrorist Marwan. It is clear for all to see: The State nurtures its men and women in uniform, and they are abundantly reaping this care. Together with new equipment, we have also increased the combat pay of our soldiers, as well as the subsistence allowance of the entire uniformed services. We have put up more than 57,000 housing units for our men and women in uniform, and this number will reach 81,000 before I step down from office. In our camps, we also have livelihood programs, and among those benefiting from these are the soldiers who have been wounded or disabled in the course of fulfilling their duty. To heighten our focus on them, I have already ordered our AFP to work together with our Cabinet and implement initiatives that will ensure that those who have sacrificed for the nation will have decent livelihoods. The time of skirting responsibility has ended. On the Straight Path, long-awaited infrastructure projects are constructed one after the other. I have already mentioned some of them: There is the Lullutan Bridge in Isabela, which our countrymen in the province had anticipated for two decades, like Rodito Albano; it is now open. The Jalaur River Multi-Purpose Project, in Iloilo, was conceptualized around the time of my birth; we have recently broken ground for stage 2 of this project. The Balog-Balog Multipurpose Project Phase 2 in Tarlac was planned in the 1980s. It has now been approved and the bidding process has already started. Construction of the Basilan Circumferential Road started in back in 2000, but was long-delayed because of conflict in the province. Hostile elements have blocked its completion because as soon as it is constructed, they will have a more difficult time escaping the law. The delivery of services to the area would also be expedited, thus weakening their influence on the locals. The vast majority of the road is now passable, and only three bridges are still being finished. I have already mentioned the Muntinlupa-Cavite Expressway, which opened last Friday. The first two stages of the Tarlac-Pangasinan-La Union Expressway or TPLEX are also open; it is the same for the Phase 2 of the STAR Toll. When the Cavite-Laguna Expressway Project, the C-6 Phase 1, the Metro Manila Skyway Stage 3, and the NLEX-SLEX Connector Road are completed—all the more will the benefits of our infrastructure strategy reach even more people. When the President first ran for senator, he lost in our province. When he ran for President, he lost again. In spite of that, the President still helped our province. We are witness to his style of governance. The administration recognizes the problems of the region and responds based on need, rather than considering the votes they earned here. Our province used to be neglected—because of the meager funds given to us by previous administrations. People here had to walk for about two days to get to their destination. With the construction of this new road, so many opportunities are going to open up for the people of Apayao. Agriculture here is booming, and the people finally feel that there actually is a government that looks after them. To the President, we hope you can come over, so you can see what you’ve done here. What used to be far is so much nearer now because of the good roads you’ve built. To Governor Bulut, in the Senatorial election of 2007, I was only 20th in the hearts of the people in your province, and I was only 4th during the presidential elections. But given all the infrastructure we have built, I do not think anyone can say that you aren’t in the hearts of the Filipino people. You yourselves have witnessed that when it comes to projects, our basis is need, not votes. That is just one horror story. For our part: we are here to help. We will do everything in our power to give as much assistance as we can, in accordance with the law. If they do not want to cooperate, the only thing I will say is this: Next year is an election year, and our Bosses will be the ones to decide who has alleviated, or added to, their suffering. Back then, no one would join these projects; now, private companies are competing with one another, and are even paying us premiums. The premiums we have received from our private sector partners in the PPP have reached P64.1 billion, which goes directly to our national coffers. Each successful project redounds to even greater confidence in the Philippines, which will in itself help accelerate the process of putting up the rest of the infrastructure we need. The suffering of our people will be lessened, and may even come to an end. Without doubt, the transformation we are feeling is vast. Whereas before, the capacity of Filipinos to hope was wavering; now, according to the latest Social Weather Station survey, eight out of ten Filipinos believe that the Philippines can be—if not already is—a developed nation. There is also a survey from Gallup Inc., which has been in business for 80 years now and is considered the oldest and one of the most respected polling agencies in the world. They asked the citizens of 145 countries: “Would you say that now is a good time or a bad time to find a job?” The result: The Philippines ranked number one in terms of job optimism for the Asia-Pacific region, and number two in the entire world. I was also given the chance to speak with the leaders of two big foreign companies: one already has a factory here, while the other intends to enter our market. Both of them expressed a strong interest in setting up research and development facilities in the Philippines. They recognize the potential and talent of the Filipino, which they believe can help them maintain their edge in their respective industries. They asked us: Can you supply us with the hundreds of employees with master’s and doctoral degrees in engineering that we need? The DOST’s response: “Of course.” I even said: If companies would start hiring for high-tech industries here, perhaps our countrymen would come home and accept lower pay, so that they could be with their loved ones. Their answer: There’s no need to lower the salaries; we will match whatever they are earning abroad. Even when it comes to our fisheries sector, the way the world views us has changed completely. Just this April, the European Commission lifted the yellow card warning it had imposed on the Philippines. In the past, there were some problems with the documentation and tracking of caught fish; for this reason, the Commission could not ascertain whether the fish were caught legally. Our administration immediately worked to prevent the Philippines from being included in the EU’s blacklist, and thus avoided any ban on our exports. I later learned that when Secretary Procy Alcala was in Belgium, he was told that the Philippines should not resent the attention if other nations with yellow card status approached us. After all, we are the ones in a position to teach them the initiatives and steps to resolve the problem. Unfortunately, no medicine has yet been invented to help those who play deaf and blind. My advice: At times when our intelligence as a people is clearly being insulted, we should just change the channel; we might benefit more from watching a sitcom. The most important of these: the Bangsamoro Basic Law. To those who oppose this measure: I believe that it is incumbent upon you to suggest more meaningful measures. If you do not present an alternative, you are only making sure that progress will never take root in Mindanao. Let me ask you: How many more of our countrymen will have to perish before everyone realizes that the broken status quo of Muslim Mindanao must change? Tomorrow, you will receive the proposed budget for 2016. We have never failed to pass the national budget on time; thus, it is my hope that we will continue this correct practice, especially that we are now in the final stretch of the administration. But I have realized: There is something inherently wrong in giving a corrupt family or individual the chance at an indefinite monopoly of public office. It is exactly for that reason that, when someone suggested that I stay on as President, even just for three more years, I myself argued against it. If I agreed to this suggestion, I would open the door for such a practice to be repeated in the future. And we cannot be certain if the person who will succeed me will possess sincere intentions—he may instead choose to lord it over our people to pursue his personal interest. I believe it is now time to pass an Anti-Dynasty Law. It is because of this Congress that laws that now stand as the solid foundations of transformation were passed. To those in the House of Representatives and the Senate, especially to your members who have been our partners on the Straight Path for all these years: Thank you for the Philippine Competition Law, for the Act Allowing the Full Entry of Foreign Banks, and for the amendments to the Cabotage Law. Thank you for the Sin Tax Reform Act. Thank you for the Responsible Parenthood Act. Thank you for all the other meaningful laws that you passed. Indeed: so much is achieved when we have a Congress that is determined to usher in real progress. First and foremost, of course, to our Lord, who, in every moment, guided our country. To my father and mother, who in fighting abuse and in rendering great sacrifice, became a wellspring of inspiration, not only to our family, but to the entire nation. To Asec. Susan Reyes, our Social Secretary, who proves that one need not be extravagant to uphold the dignity of the Presidency; to Paul Cabral who makes sure that I always wear proper clothing; and to Cherry Reyes, who is both my hairstylist and an economics practitioner, when it comes to the way she fulfills unlimited wants with very limited resources. My Bosses, perhaps my having no family of my own is part of the plan. It has allowed me to focus on our people. In this job, I sometimes feel like a punching bag precariously held together by duct tape, but I have never wavered because you are behind me. It is true: I am not alone. This has led me to conclude that my parents continue to watch over me, and that God truly loves us. Thus, to every Filipino who has made this change possible, thank you. It is a great honor being your leader. In the area of disaster management: Because of concern for one another, and because of the active cooperation of the LGUs, we were able to ensure that Bohol and Cebu regained their footing after the earthquake. In Zamboanga and Tacloban, we focused straightaway on immediate needs. From delivering food, to making certain that there were no outbreaks of disease; from ensuring that electricity returned quickly, to opening roads; and even to housing and livelihood programs—our government poured and continues to pour all it can to help affected areas. Yet there are also things left to be done: There are still communities living in danger zones that must be relocated away from threats to their safety. As regards rebuilding, there is a need to strengthen coordination between the local and national levels, in order to ensure that we finish projects at the soonest possible time. To our Bosses: If the transformation of our society isn’t interrupted, it would indeed be reasonable to say: All we have achieved is only a taste of what is to come. As we have said before: You ain’t seen nothing yet. Let us take a look: From 2010 to 2014, we posted an average GDP growth of 6.2 percent; this is the fastest period of economic growth in the past 40 years. If we reach 6.8 percent this 2015, then we will have posted the fastest 6 year average growth period in almost six decades. Of course, the growth of our economy means a corresponding growth in government’s ability to care for and empower the citizenry to make the most of opportunities being created in the country. It is clear: If we are not derailed—if we continue along the Straight Path—then we will reach first world status within one generation. If the reforms that have led to our dynamic economic growth continue, then it won’t be long before we can stand on equal footing with, if not, surpass, the very countries we admire. Did we even think this was possible back in the beginning? But if your answer is “yes,” then, as always, I am ready to continue supporting you. Even after I step down from office, until my last breath, you can count on me to stand with you, the same way you have stood by me. I will walk alongside you, and with arms linked, we can continue bringing to life the ideals of the Straight and Righteous Path. This is only the beginning. We are only in the first chapter of the great story of the Filipino people. Guided by the Almighty, as we continue to tread the Straight Path, we will fulfill even greater aspirations. We will open the doors to even greater progress. Our direction is in your hands. To read the untranslated speech, please click here.